Otherwise, how could we have built those amazing Egyptian pyramids and erected those massive stone statues on Easter Island, or the meticulously intricate blocks that make up Puma Punku in Bolivia… and what of the many glyphs, cave and rock paintings, carvings, drawings and statuettes from our distant past that appear to portray “helmeted” figures that do not look quite human, or those of strange craft whizzing by in the sky? 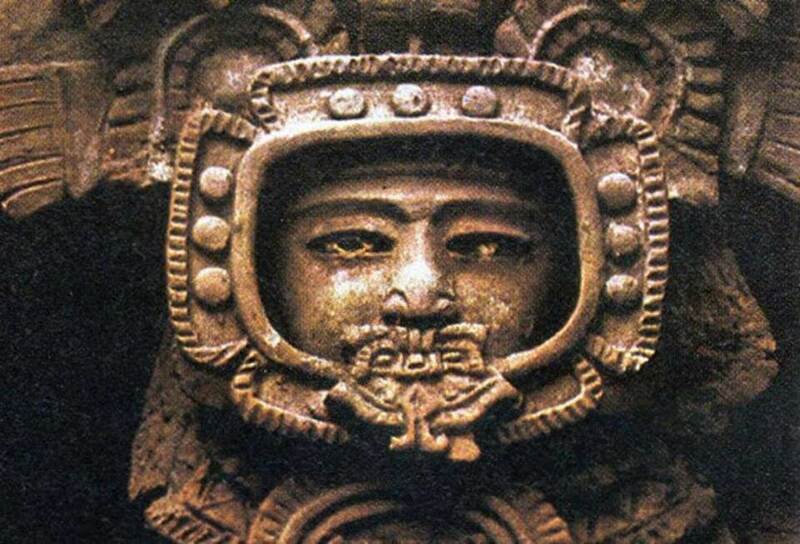 Are all these “archeo-enigmas” proof that our ancestors mingled with the star people, and left us clues in their art, architecture, myths and religious texts? Allegedly, Hoover had top-secret clearance as part of his work as a Naval Intelligence Officer to view the Roswell debris and bodies during the 1950s…and he eventually told a very select group of people before his death of his beliefs. Those people included his own son, George Hoover, Jr. and later ufologist and researcher William J. Birnes, both of whom were made privy to what the elder Hoover knew before his death. Hoover stated during interviews that he believed the aliens were not extraterrestrial, but were extratemporal — as in time travelers. In addition, he believed they were not really aliens at all… but humans of the future, with incredible abilities to use the power of consciousness to morph reality and travel through the landscape of time.